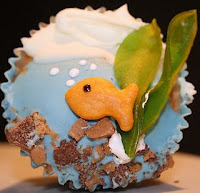 It's time for this week's Cupcake Inspirations Challenge and today we are celebrating with some inspiration from the sea.. This week we are sponsored by Prairie Fairy. They have sponsored us numerous times and I am always thrilled when they do because they have some cute digital images! 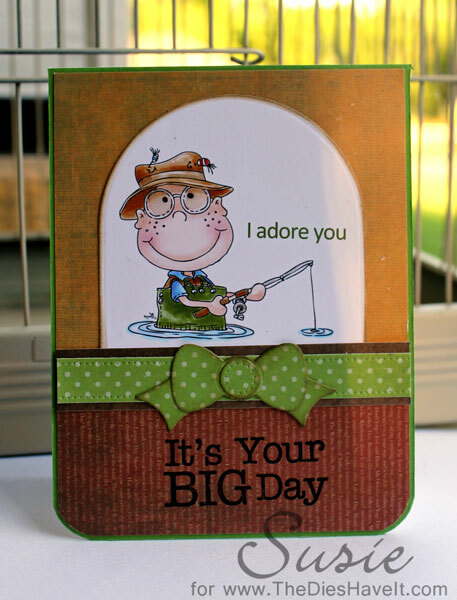 To make my card I used some Farm House Sugar Hill paper as well as some Echo Park Bundle of Joy Dots & Stripes paper. I used dies from MFT Stamps for my focal image, the strip and the bow. Add your project based on our inspiration photo which is this super cute fishy cupcake. See you tomorrow with a digital layout. Super cute! Love the bow! Cute card and awesome cupcake.